At Hoole Bank Day Nursery we pride ourselves in having a fantastic nursery team. Each member of staff has been carefully selected for their enthusiasm and passion for childcare. We believe it is essential that staff keep up to date with the curriculum and therefore staff attend regular, appropriate training courses to ensure that children at Hoole Bank are continuously receiving the best care possible. Our Nursery Manager at Hoole Bank Day Nursery is Sarah Pilkington. Sarah has worked in childcare since 2009 when she first achieved her NVQ Level 3 in Childcare. Since 2009 she has been a keen practitioner whilst gaining extra qualifications to degree level and beyond. Sarah has extensive experience working with children and is committed to ensuring the nursery provides a safe, secure and welcoming environment for each and every child. Sarah welcomes daily communication from parents and carers to ensure your child’s interests and development needs are continuously met. The Deputy Manager is Lisa Roberts. Lisa has worked in childcare since 2006. Lisa works alongside the Nursery Manager to continuously develop the standard of care that is being offered to each child whilst at nursery. She brings with her a wealth of experience and demonstrates commitment to the ongoing development of each child. Baby room: We have three highly qualified members of staff working in the Baby Room with qualifications and experience up to a Degree in Early Years and experience of managing a nursery. Together with years of experience and a passion for childcare, you are guaranteed to receive the best possible care for your young baby. Tots room: The Tots room has a total of four members of staff all of whom are passionate about caring for and educating your child. Working alongside the room leader we have a qualified teacher, an experienced speech and language therapist and an apprentice who is currently working towards gaining her NVQ Level 3 in childcare and young people. 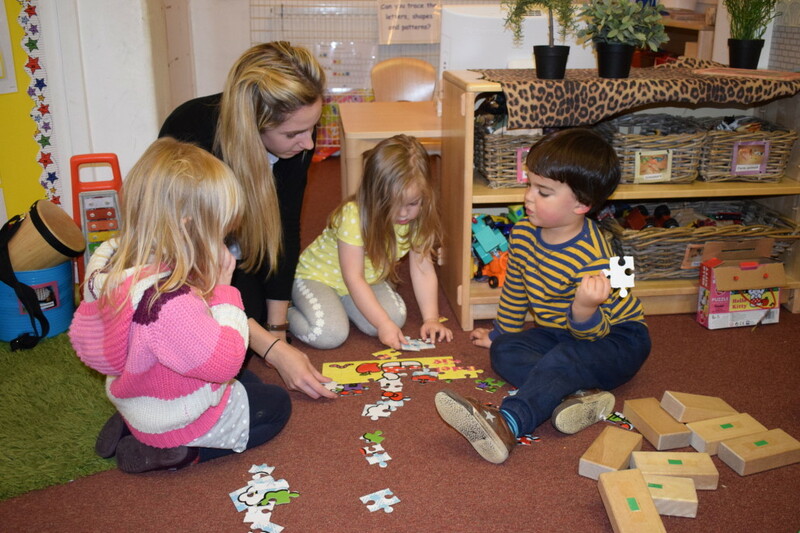 Pre-school: There are three full time, qualified members of staff in the Pre-School room, including staff members who are trained to Degree Level in Early Years. We also have some staff in the Pre-School room who have experience of working in schools, this knowledge and experience facilitates staff to appropriately prepare children for their move to ‘big school’. Nursery Cook: Our nursery cook has a wealth of experience and knowledge in catering. From having trained to Degree level in Human Nutrition she has the appropriate knowledge to provide interesting, whilst healthy menus that ensure children at Hoole Bank Day Nursery receive a well balanced diet.